Brussels: Anderlecht's Ognjen Vranjes, left, battles for the ball with Dinamo Zagreb's Bruno Petkovic during the Europa League group D soccer match between Anderlecht and Dinamo Zagreb at the Constant Vanden Stock stadium in Brussels, Thursday, Oct. 4, 2018. 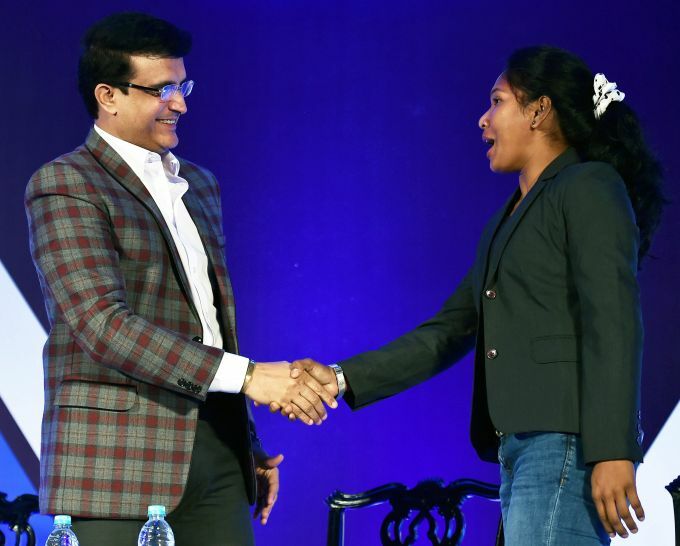 Kolkata: Former Indian captain and Cricket Association of Bengal (CAB) President Sourav Ganguly share a light moments with Asian Gold medalist athlete Swapna Barman during launch of 5th edition 25K in Kolkata on Thursday, October 04,2018. 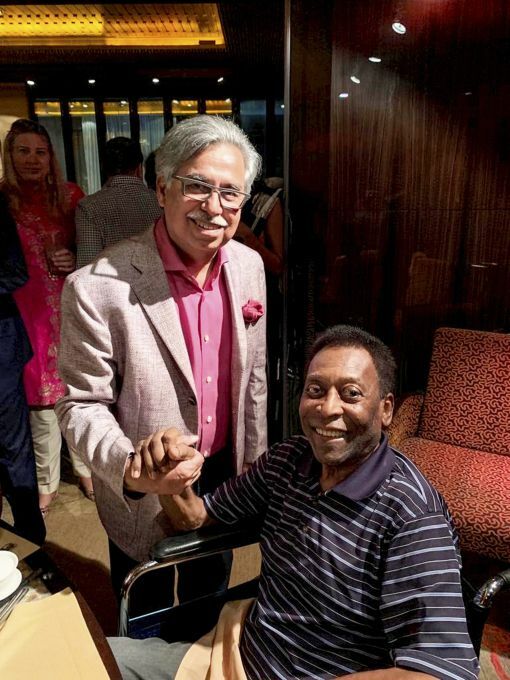 New Delhi: Pawan Munjal, CMD & CEO, Hero MotoCorp with soccer legend Pele in New Delhi, Thursday, Oct 4, 2018. 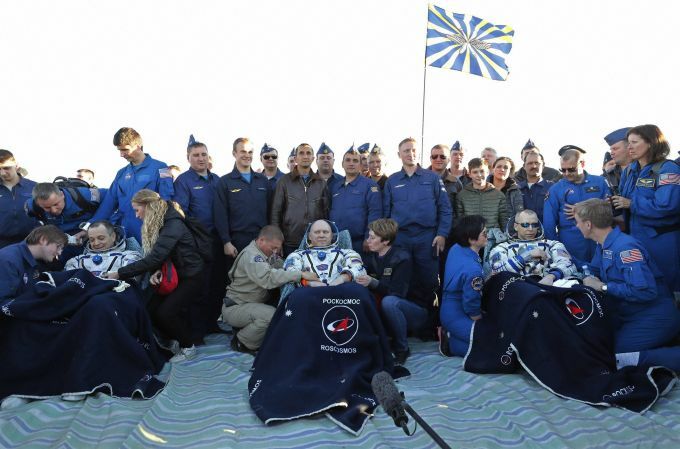 Dzhezkazgan: U.S. astronaut Richard Arnold, left, Russian cosmonaut Oleg Artemyev, center, and U.S. astronaut Andrew Feustel sit shortly after the landing of the Russian Soyuz MS-08 space capsule about 150 km (80 miles) south-east of the Kazakh town of Dzhezkazgan, Kazakhstan, Thursday, Oct. 4, 2018 . A Russian space capsule with three men onboard has safely landed in a barren steppe in Kazakhstan after a six-month mission aboard the International Space Station. 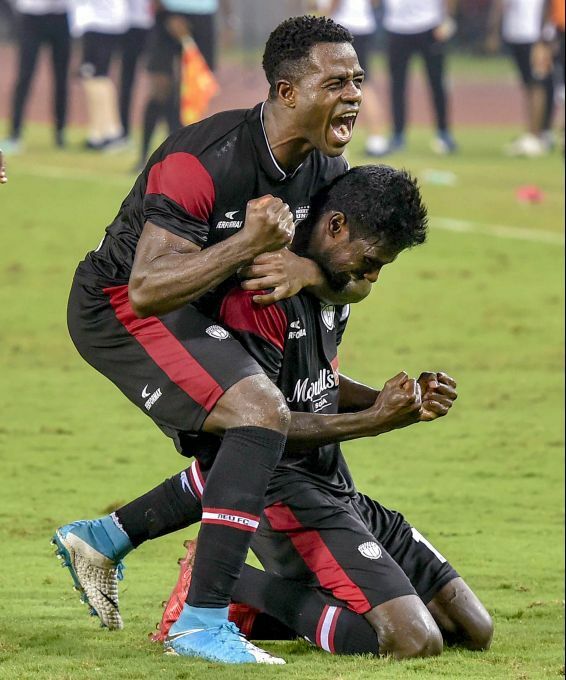 Kolkata: North East United FC Rowllin Borges celebration after score and win a match against ATK during their ISL in Kolkata, Thursday, Oct. 4, 2018. 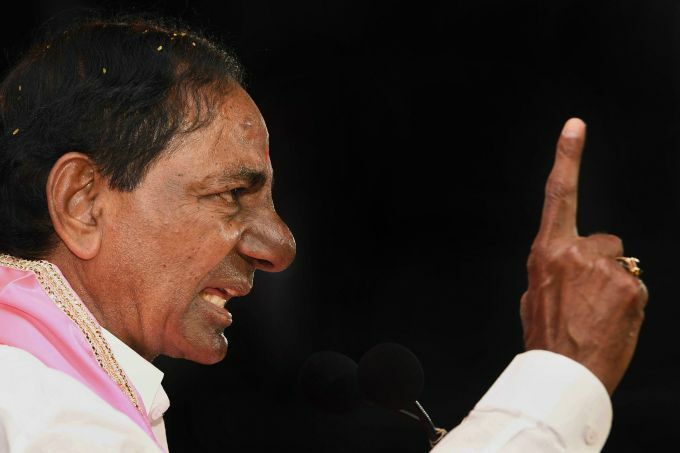 Nalgonda: TRS party chief and caretaker chief minister K Chandrasekhar Rao addresses a public meeting in Nalgonda, Thursday, Oct. 4, 2018.